Wyoming is an amazing state that most people completely overlook. Ask anyone what's in Wyoming and most will simply say nothing! Well, that's far from the truth...in fact, there are some of the best mountain ranges and scenic beauty in the country here. Probably the reason why people believe nothing is there has to do with where I-80 is located. Sure, there really is nothing along the entire stretch of I-80, but don't let that deter you from visiting the other parts of the state. The major areas found in Wyoming are described below. This is probably the most spectacular area in the state and rivals the North Cascades in Washington as being the only other place in the lower 48 with large alpine glaciers. Over a lifetime of excellent rock climbing and mountaineering is found here in addition to some of the most beautiful backpacking trails in the country. Hunting and fishing is also popular here so there really is something for everyone. 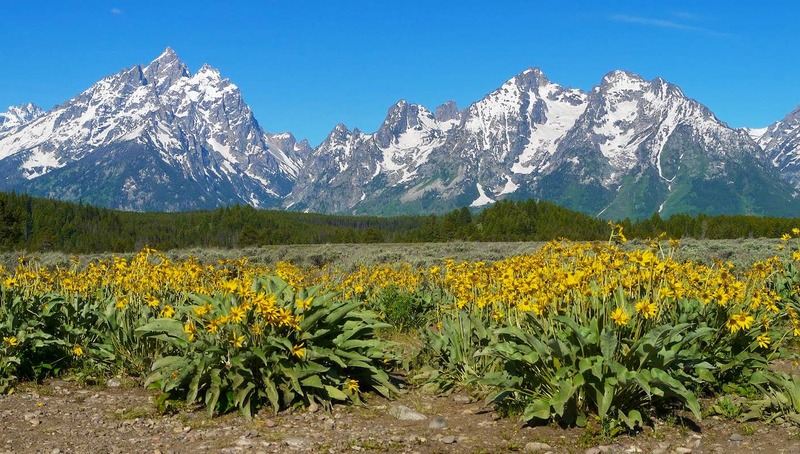 ​The Tetons are an awesome mountain range in northwestern Wyoming offering some of the best alpine climbing in the Rocky Mountain chain. Being one of the youngest ranges in the continent, they are very rugged and difficult to navigate. The ancient geologic processes that created the Tetons and surrounding valleys can easily be seen here. The rocks comprising the tetons are some of the oldest on earth exceeding 3 billion years old. Once covered by a very thick sedimentary package, these old rocks now tower thousands of feet above the plains to the west and east. The largely volcanic Absarokas are a very remote mountain "blob" covering a huge area to the east and southeast of Yellowstone and the Tetons. Actually, the Absarokas extend well into Montana, making them perhaps one of the largest mountainous areas in the lower 48. A continuation of these peaks is the Gors Ventre Range (pronounced Gro Vont), which are also volcanic. The vast majority of the peaks here are walkups or easy scrambles as technical climbing here would be a nightmare due to the horrible rock quality. Backpackers can easily find solitude roaming the hundreds of miles of trails that lead to places few people ever spent the time to get to. Yellowstone National Park is perhaps the most famous park in the world. 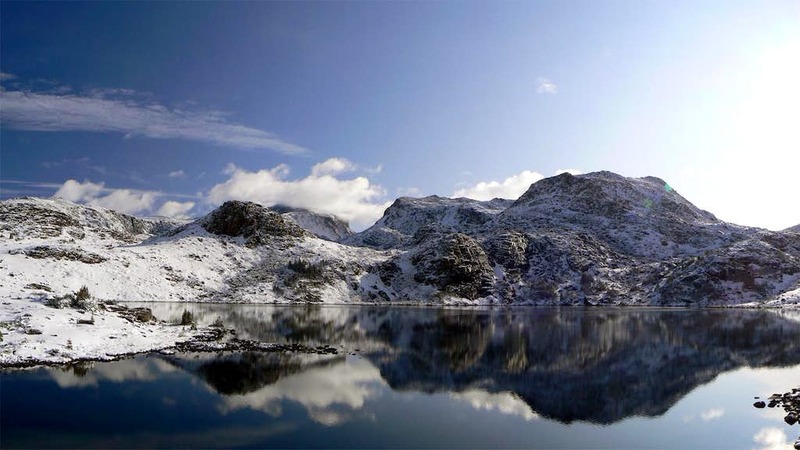 The first national park ever made by any country makes it a well known destination for tourists everywhere. 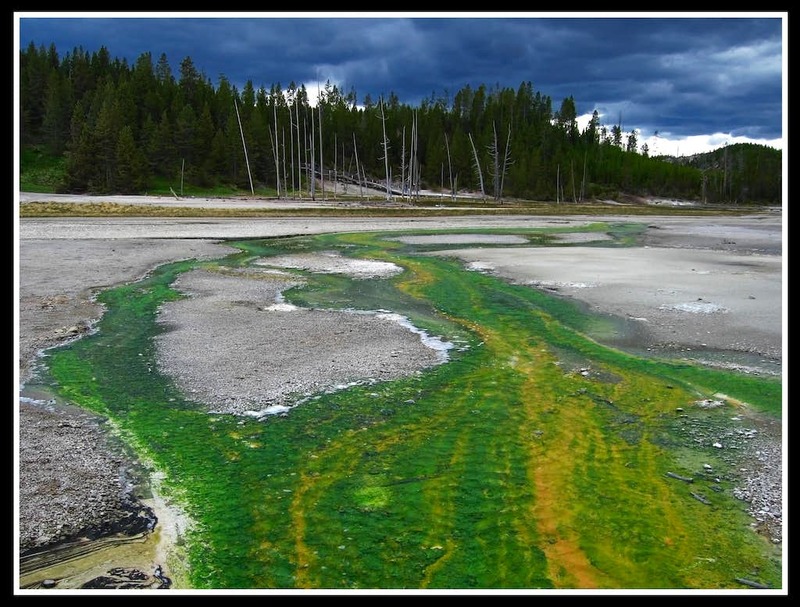 Ask someone in Asia (literally anyone) what they can identify in the US and they will either say Yellowstone or New York. Although there are places you can hike off the roads within the park, don't expect solitude here, even on many of the peaks. Also don't expect any good technical climbing here, as the rock is all the same volcanic stuff found in the Absarokas and Gros Ventre Ranges. The Big Horn Range is part of the Central Rocky Mountain Chain. It sits mostly in Wyoming but the northern foothills extend into Montana. The range runs parallel to, but nearly 100 miles east of the Continental Divide and is bound on the west by the Bighorn Basin, and on the east by the Powder River Basin and the start of the Great Plains. It is the northernmost range in the Rocky Mountain chain to surpass the elevation of 13,000 feet. The defining feature of the range is Cloud Peak. 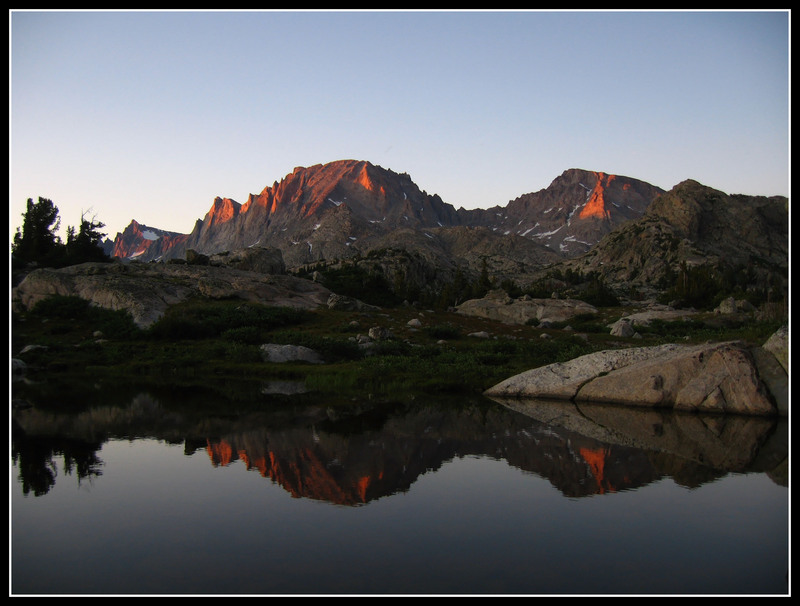 The crest of the range is managed as the Cloud Peak Wilderness and it is in this area that backpackers and mountaineers set most of their goals. Sport Climbing is well developed in Ten Sleep Canyon, along US 16 just west of Tensleep, Wyoming. There has also been route activity on Tongue River Canyon, Story Canyon, and Crazy Woman Canyon near Buffalo. 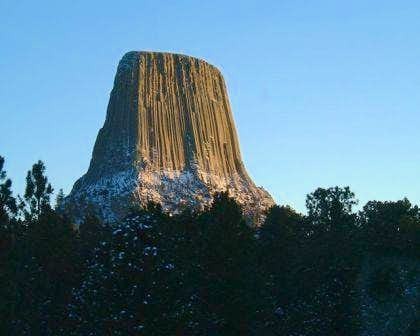 Devils Tower draws climbers from around the world every year, and offers dozens of amazing trad routes with its columnar features. It formed as part of an ancient volcano that has since long eroded away, and the tower that remains was the main volcanic neck for the ancient volcano. It stands proud above the surrounding flatlands because the rock is harder, and more resistant than everything else in the area. When volcanic activity ceased, the magma chamber cooled deep underground, as did the neck of the volcano and air escaped vertically towards the surface, and the rock cooled, shrank and formed vertically oriented cracks that is seen today. 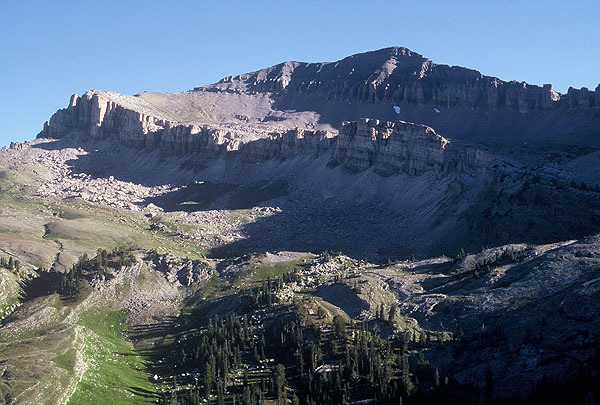 Located in the extreme NE corner of Wyoming, its far away from all other notable mountains in Wyoming but is well worth a visit even if just to walk around its base.